Vegetarians: try replacing the prawns with button mushrooms – I’m sure it will taste lovely! 1. Cook garlic for a few seconds in some olive oil. 2. Add onions, green chillies, green pepper and yellow pepper. Cook for a minute. 3. 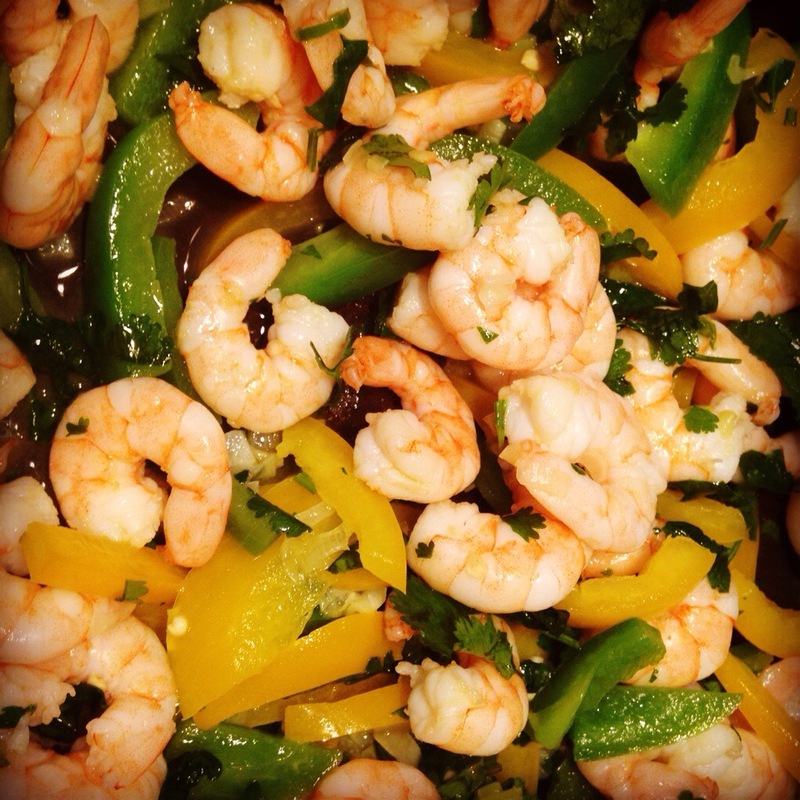 Mix the prawns in, along with chopped coriander and lime and cook until heated through. 5. Serve hot with mini flour tortilla wraps, and your choice of sides. 7. Roll up and devour.